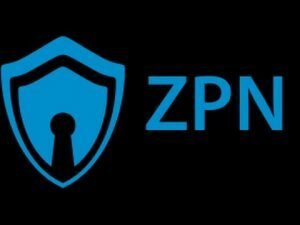 ZPN aims to offer a strong level of security and one of the ways in which this is achieved is by opting for protocols like OpenVPN and L2TP/IPSec. They don’t support PPTP, given the fact that it is widely considered as a weak option. In OpenVPN, ZPN allows users to add SSL to enjoy an additional layer of security, and to get more flexibility in case OpenVPN is not working well for you, or if it has been blocked. ZPN lets you adjust your security settings to match your requirements. If you want a decent level of security, without experiencing a significant speed loss, you can choose Blowfish-128. For those who prefer top encryption, AES-256 cipher would be a better choice. SHA-1 or MD5 are used for hash authentication and for handshaking, 2048-bit RSA is in place. The company refers to the current status of VPNs in UAE in its blog and it mentions that international users of ZPN, have nothing to worry about. They also mention that the laws regarding the use of VPNs in the United Arab Emirates are most likely to be designed to target those who are involved in illegal activities. Although the situation for VPN users in the UAE is still confusing, the bottom line is that if you use ZPN’s services outside that country, there shouldn’t be any issues. The fact that the company refers to the subject on its website also shows that they want to be transparent on the matter. There is software available for popular platforms like Android, iOS and Windows, which makes the set up process easier. You can also configure ZPN manually on Mac OS X, Linux and other options, following the guides available on the website. The clients are easy to use and straightforward, so even if you are new in the world of VPN, you shouldn’t have major issues using the service. Connecting to a server is simple and the clients include advanced security features like DNS leaks and IPv6 leaks protection, as well as a kill switch that shuts down all internet applications if the VPN connection drops. ZPN also features a firewall to boost the security of your VPN connection and it helps to prevent DDoS attacks. When it comes to speed, ZPN delivers good results and the performance of the service is generally stable. ZPN is fast enough to handle tasks like streaming, downloading and gaming. They have servers in over 20 countries, including Netherlands, United States, Japan, United Kingdom, Australia, Japan, Sweden, Brazil and South Africa. There is a good variety of options available to unblock content and keep your real location protected. However, in some cases we noted that when you connect to a server, the test may show a different location to the one you are supposed to be connected to. This shouldn’t be a major issue when you are trying to disguise your location, as the true details won’t be exposed. ZPN suports P2P, but servers in locations like the US and the UK shouldn’t be used for this purpose. The free service gives you the possibility of testing the service, but it comes with certain restrictions. It only provides up to 10 GB per month and you can only connect to servers in 5 locations. In addition, only one connection is supported, bandwidth logs are kept and you can’t use the service for P2P. To access all the features available and enjoy more flexibility, you will need to upgrade to the Premium plan, which costs $5.99 per month. This plans allows up to five simultaneous connections and it supports P2P in premium servers. If you only want to use the service on your mobile device, you can opt for the Mobile plan. It costs $1.99 per month and it allows P2P, although it only supports one device and has a data transfer limit of 50GB. ZPN has a 7-day money-back guarantee. ZPN’s website offers tutorials for manual set up and a section that covers the most frequent questions about the service. The blog also features articles with useful information to get the most out of the service. If you need to contact the support team, you can create a ticket. Although it would be better to have a live chat for urgent queries, the tickets are usually responded within a few hours in a professional and effective manner. ZPN offers a good client that includes strong security functionality and that is also easy to use. The free service works well for online browsing and it will give users the chance to test the service before committing to a subscription. While there are not as many options to contact them, the support is generally good, although we’d like to see a live chat for faster assistance. Overall, ZPN offers a solid VPN solution to bypass blocks and improve the security of your connection.